REMEMBER, today is the last day to use coupon code DAKOTASAL2016 for 30% off any pattern in the Etsy Shop!! 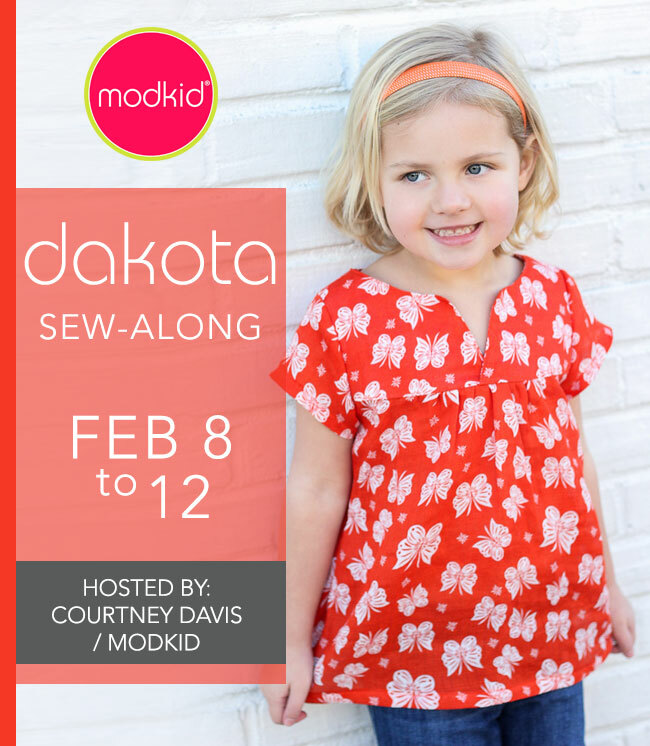 Welcome to Day 1 of the Dakota Sew-Along. We hope you have gathered your supplies. Today we are preparing our pattern and cutting out the pattern pieces. Let's get started! Print the instruction pages on two sides (front and back). For the Dakota pattern, these are pages 2-13. You may be able to print fewer pages based on the view you decide to make. I like to save ink by not printing the pretty cover and inspiration pages, but that’s up to you. You may even choose to not print the instructions at all and have your digital copy handy while you sew. Print the pattern pages 16-25 on a single side only. For versions B, C, E and F you will also need pages 26-30. For versions D, E, and F, you will also need pages 31-34. Make sure your scaling is set to “none”. Cut the pattern pieces to your desired size. Be sure to include the gray/shaded areas in your cuts. Overlap the shaded areas, as indicated on the pattern pieces, and tape each piece together to form the full pattern pieces. Use the pattern layout guide based on the view you are sewing to cut out your fabric pattern pieces. Be sure to transfer the notches to your fabric. If making view A, be sure to cut the bias binding per page 3. That's it for today! We’d love to see your progress!! Show us your photos in our Facebook group. You can also share photos on Facebook and Instagram tagged #dakotasewalong.